I am joining Sarah at Amongst Lovely Things to showcase my top five posts of 2013. I enjoyed reading back through the year and reminiscing as I chose which posts to include. I hope you enjoy this snapshot of our year, too. The same post won in both categories: the story of our newly adopted baby boy. Oh Happy Day! 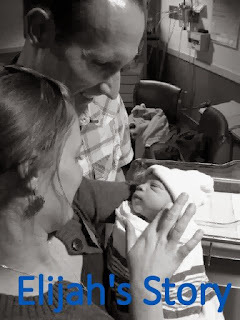 The story of our failed adoption was without a doubt the most difficult post I wrote this year. My heart still hurts whenever I read it, even though we've now experienced a happy ending to the story. This was a difficult choice, but I finally settled on Rockets: Lost and Found, because it highlights what an awesome husband I have. Truly, he's amazing. Okay, I'm actually going to do two in this category, since I combined most clicks/most comments above. 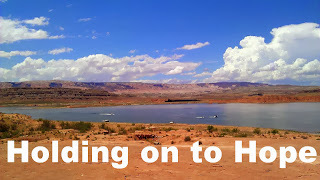 Another of my favorite posts to write this year was Holding on to Hope. I felt so uplifted, rejuvenated and ready to plunge back into life again after working through the thoughts that lead to that post. I recieved more feedback about this photo (via Facebook and emails) than any other photo this year. 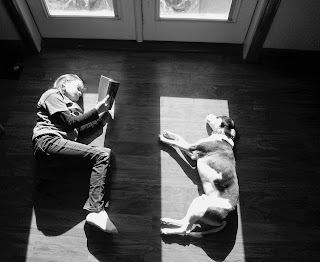 It captures my daughter and her doggie soaking up the sunshine after a string of cold, cloudy days. There was defintely an adoption theme to the blog this year, and I am so grateful that in a few months we'll be able to move on from that. I forget how all-consuming adoption is when you're in the middle of the process. At least for us, that has been true whether it was adoption through the foster system or a private agency. But we are beginning to settle in to being our own family again, with the addition of one more tiny person. Though it's been a difficult journey, we still consider the results a miracle. The picture is so perfect! And I'm so glad you linked up. Thanks for joining in!